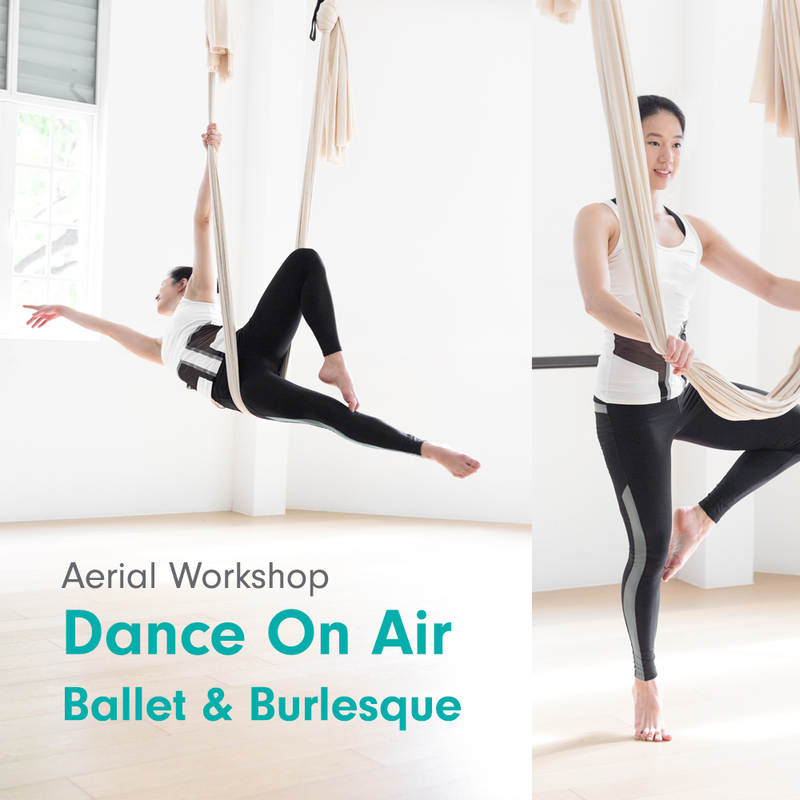 Dance on Air is a two-part aerial dance workshop where you can swirl and twirl with a dance partner that will never let you down. Move with the music and the beat exploring different dance styles in this series focusing on transitions in the air. Join the aerial corps de ballet! Find grace under pressure as we incorporate ballet techniques into our aerial practice, using the hammock as a guide to help us arabesque, jeté and pirouette through the air. Strut your stuff to the sultry sounds of jazz and postmodern jukebox as we move with the hammock at a languid pace, showing off our best assets and hiding the rest with our hammocks. Learn a short routine to music. Love for dance and fun is highly desired. Fee for each workshop is $80.